Reading Eggs Activity Books are full of educational activities that children will enjoy. They are for children that know their alphabet and are beginning to read. 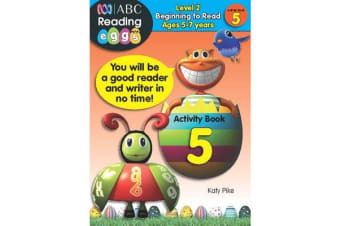 These books will help them to write words and the alphabet correctly, read with understanding, develop phonics skills, match pictures to words, practise their handwriting and read and write sentences.